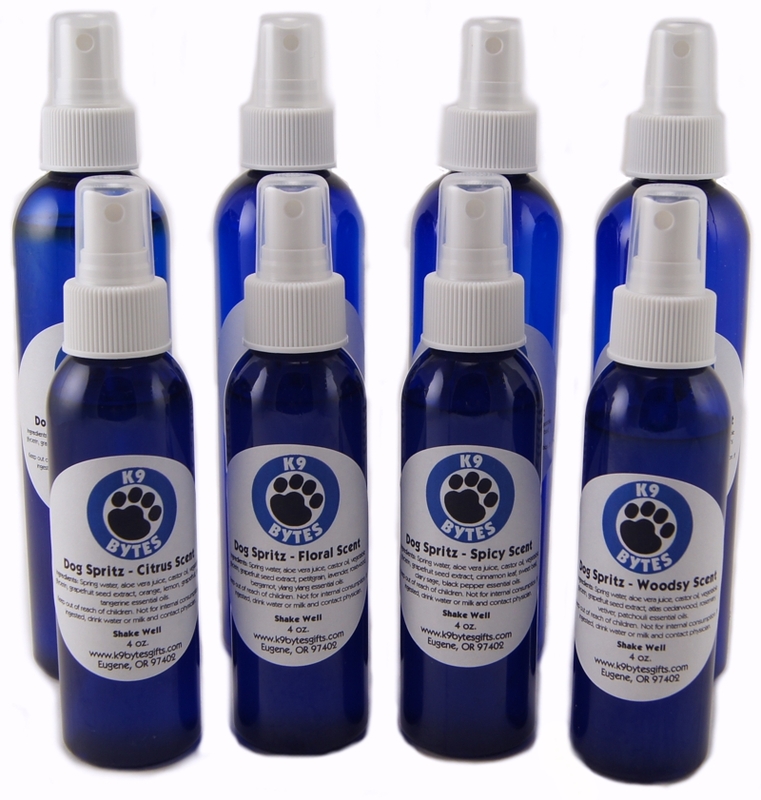 Dog Shampoo and Bath Spray by K9 Bytes, Inc. These bath products are for dogs only. Please do not use these products on cats, as they contain essential oils. Cats are very sensitive to essential oils and some can be harmful to them. Treat your dog to a fragrant bath. 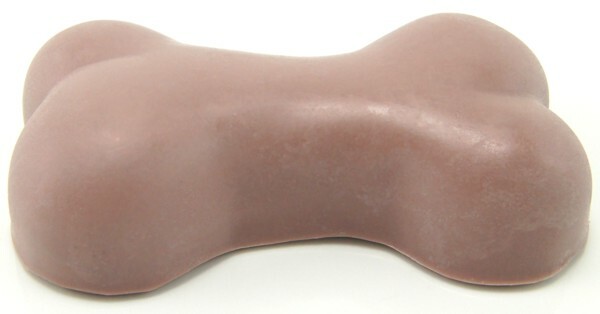 The bone shape is the perfect size to hold in your hand. Just rub around your wet dog! Tea Tree & Peppermint essential oils deodorize and discourage fleas. Please note: High temperatures or direct sun may cause soap to melt. 3.5" x 2" x 1", 3 oz. Use as a between bath coat freshener to deodorize your dog with fragrant essential oil blends. Available in 4 and 8 fluid oz.